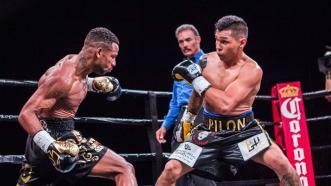 Jorge Lara battled Claudio Marrero in a 126-pound bout on April 28, 2018, from Don Haskins Center in El Paso Texas, live on FOX. 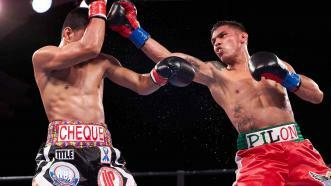 Marrero won the fight with an impressive first round knockout. 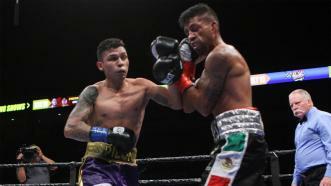 Unbeaten featherweight contender Jorge Lara (29-0-2, 21 KOs) of Guadalajara, Mexico opened the PBC on FS1 card with a third-round knockout of fellow Mexican Mario Briones (28-6-2, 22 KOs) on May 20, 2017 from Laredo Energy Arena in Laredo, Texas. After the fight was stopped at the end of the sixth round, with Lara unable to continue because of impaired vision, it went to the scorecards, with all three judges scoring the fight 57-57 for a technical draw. The fight ends in a technical draw after six rounds due to a cut above Jorge Lara's eye caused earlier in the bout by an accidental headbutt with Jesus Rojas. All three judges scored the fight 57-57. 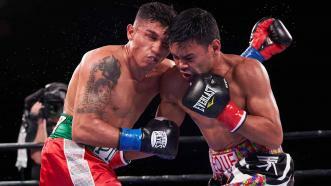 The fight ended in a technical draw after six rounds due to a cut above Jorge Lara's eye, caused earlier in the bout by an accidental headbutt with Jesus Rojas. All three judges scored the fight 57-57. Mexican fighter Jorge Lara explains how love for his children motivates him to dominate in the ring.